My New Year's Resolution - Singular not Plural! Every year I think about what I want to accomplish in the upcoming year. I used to make long lists - 5, 10, even 12 goals sometimes. But I never accomplished them all! So a few years ago I decided to make one goal - one important goal - that I could focus on. A single goal sounds easy, right? But it's not! At least, not for me, because usually that one goal involves being more organized or knuckling down and finishing a project. Because I have so many irons in the fire, it's not easy for me to devote the time needed for goals like those. 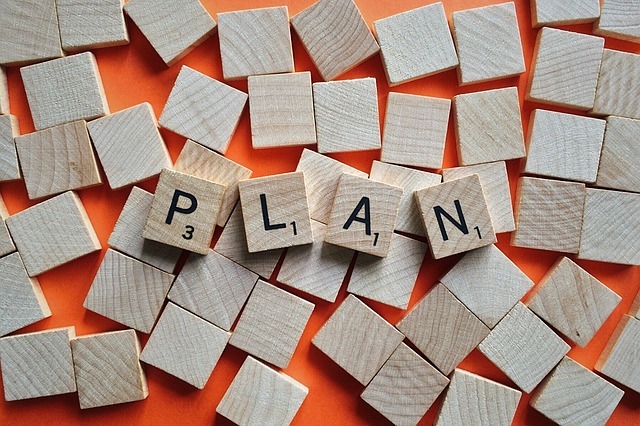 You know what they say - "A goal without a plan is just a wish" So I need to plan before I set my goal and then plan how to achieve it. 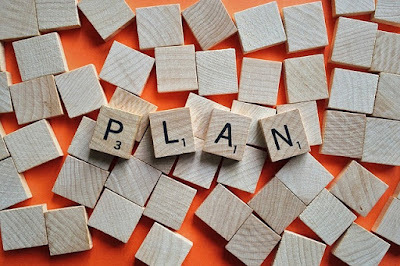 I have so many projects to start or finish or re-organize that I hardly know which one to choose for 2019. For example I'm not finished editing my second mystery novel involving genealogist Janie Riley, called A Grave Secret. I need and want to finish it! It will make me so proud to see it along with my first mystery Death Finds a Way. Speaking of my first mystery, if you've read it and liked it, could you take a minute and leave a review on Amazon? Reviews help authors and I'd really appreciate it. But I also need (desperately) to organize my folders of family photos and genealogy documents. They're a mess. There's really no other way to describe them. I need to make sure all genealogy document images have file names (not numbers assigned when I downloaded them), organize them, file them properly in clearly labelled folders, and save them to my WD Passport as a backup. 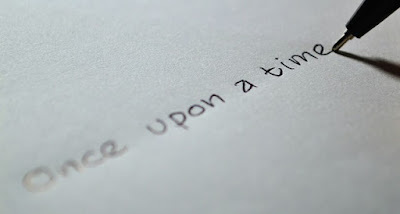 Writing this blog post has helped me to figure out what my goal is going to be. 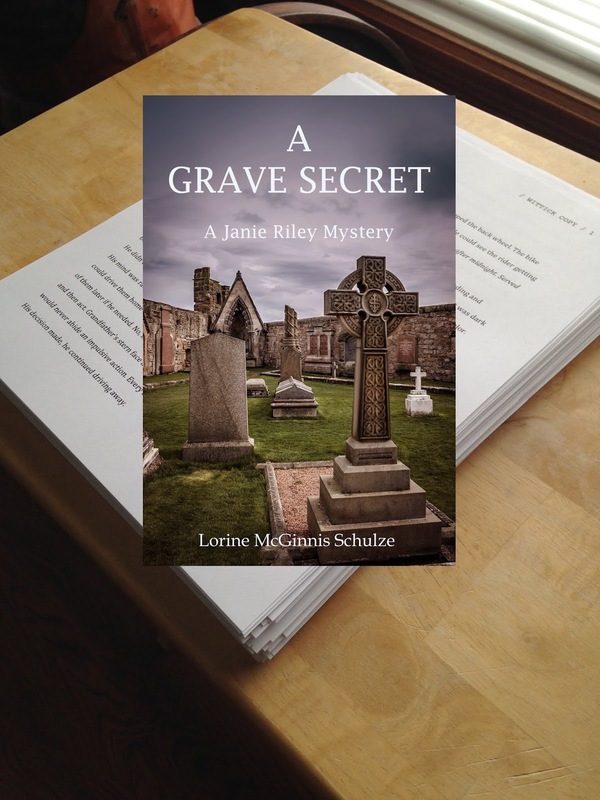 I have decided to focus on finishing A Grave Secret and get it published! If I finish it before the year is done (and I'm pretty sure I will) I'll get cracking on those two partially completed New Netherland Settlers books. Unless of course a bright shiny object should appear in front of me! Wish me luck! What are your goals for 2019? I'm sure most of you have been hearing or reading about DNA being used to solve cold cases. Genealogists are being called in to help trace family trees using the DNA taken from forensic evidence. They then look for matches using GedMatch which is a free tool where anyone can upload their DNA results. Once a match is found, detectives can focus on family members connected to that match or matches. There are two opposing opinions on this somewhat controversial new tool of course. I think it's a fascinating use of DNA and so helpful to law enforcement. Imagine taking a killer off the streets and putting him/her somewhere where he/she can't hurt anyone else. Imagine the relief and feeling of closure of family members who finally know who hurt or murdered a love one. Because of the controversy, GedMatch now has a warning when a user logs in. 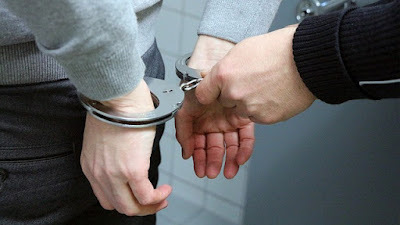 "April 28, 2018 While the database was created for genealogical research, it is important that GEDmatch participants understand the possible uses of their DNA, including identification of relatives that have committed crimes or were victims of crimes. If you are concerned about non-genealogical uses of your DNA, you should not upload your DNA to the database and/or you should remove DNA that has already been uploaded. Users may delete their registration/profile and associated DNA and GEDCOM resources." Personally my opinion is if someone I'm related to commits a crime, they deserve to face whatever our justice system deals out. I would be glad if my DNA helped bring them to justice, and gave closure to a family. In any case, here's an interesting article talking about five cold cases that were solved using DNA. 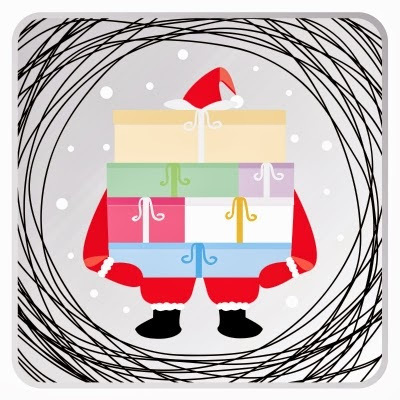 Christmas is supposed to be a time of giving and yet it often seems like a time of getting! 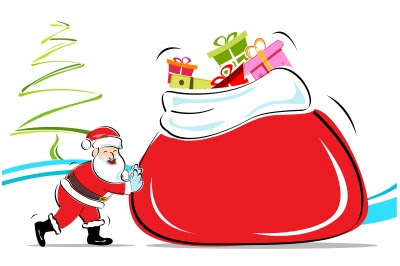 More presents, more Christmas lights, more food.... it is easy to find ourselves caught up in greed and grab. But I've found ways to convert that to more giving. If you're not already involved in these wonderful projects (or something similar) I urge you to try them out. It's a win-win situation when you help others and you feel good about it. I have 10 grandchildren. As each of them reaches age 13, I take the money I normally spent on them for a gift under the tree, and use it for one of the following projects. Each grandchild knows what was purchased in their name and receives a card with information on the gift and how it helps others. The younger children still receive a present under the tree but I include them in the Sick Children's Hospital project. Sick Children's Hospital has a very special meaning for me. When my first grandchild was one month old he became very ill and ended up in Sick Kid's. He was diagnosed with the flesh-eating bacteria. One lung was completely destroyed and the second partially gone and we were told he would not likely make it through the night. But specialists worked tirelessly to save him and although he was in ICU for many weeks and had many setbacks, they managed to control and eradicate the bacteria before the second lung was completely gone. Thanks to the doctors and staff at Sick Children's he survived (minus one lung) and is now an active 20 year old. I support 3 girls on a monthly basis. Fiker lives in Ethiopia, Rojina is in Tibet, and Racheal is in Zambia. These sponsorships replace spending that money on gifts to my eldest grandchildren. My grandkids get to enjoy the letters and photos we receive from the girls, and they also get to be part of helping others who are not as fortunate as they are. I love choosing what I think is the perfect gift to make in a grandchild's name. For example, Quinn likes to cook so last year I gave the Holiday Cooking and Baking Supplies gift in his name. By lending as little as $25 on Kiva, anyone can help a borrower start or grow a business, go to school, access clean energy or realize their potential. I'm part of the Genealogists for Families Team on Kiva. 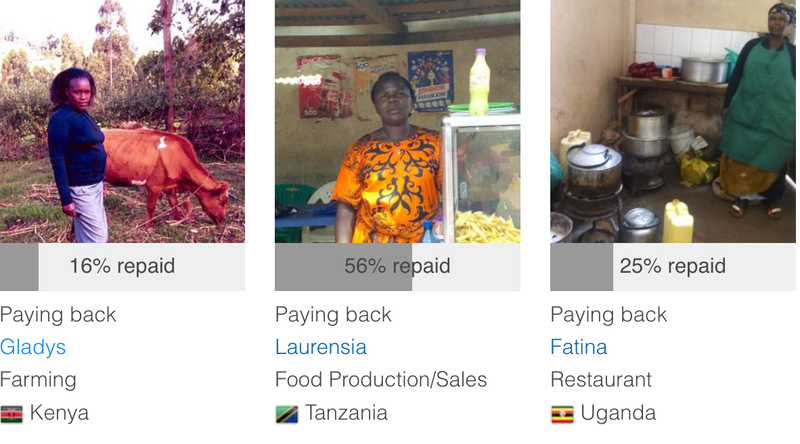 Currently I have made 10 loans to women in Rwanda, Kenya, Tanzania, Uganda, El Salvador, Cambodia, Mali, Samoa, and the Philipines. I try to make loans in my adult children's names based on their interests. For example I made one loan in my motorcycle loving son-in-law's name to a man in Kenya who need to purchase a new motorcycle for his taxi business. Often I choose single woman with children who are involved in some aspect of food services - cooking, raising chickens, running a small grocery store. In fact I have some money in my account from a loan that was repaid a few days ago, and I'm going to choose someone new today. The above are ways I spend money I would normally spend on gifts to family at Christmas. It may not suit everyone but I urge you to check out what is available where you live and consider a project helping others to better their lives. Would my Ancestors Come for Christmas Dinner? Over the past 15 years I've entertained 30 plus family and friends at a huge Christmas feast. I do all the cooking. I make the traditional Christmas turkey with stuffing, plus one other meat and a homemade pasta. For my second meat dish I've made cabbage rolls, cow's tongue, ham, Cornish hens and a roast. For my pasta dish I've made cheese ravioli, potato gnocchi, mac 'n cheese, and pierogi. My side dishes were always mashed potatoes, candied yam, stir-fried broccoli, and Kak's cukes (hubs' grandmother's recipe for a cucumber dish). Sometimes I added carrots in a ginger orange juice sauce, asparagus wrapped in prosciutto or roasted root vegetables. And of course - gravy and cranberry sauce. Desserts varied. I frequently made individual pavola with raspberries. A few times I made individual trifles. Once I made labour intensive pasteis de nata. Sometimes I made carrot cake or a simple ice cream with raspberry coulis. I used to look at all the food put out on our buffet tables, and think about my ancestors. What kind of Christmas dinner did they enjoy? 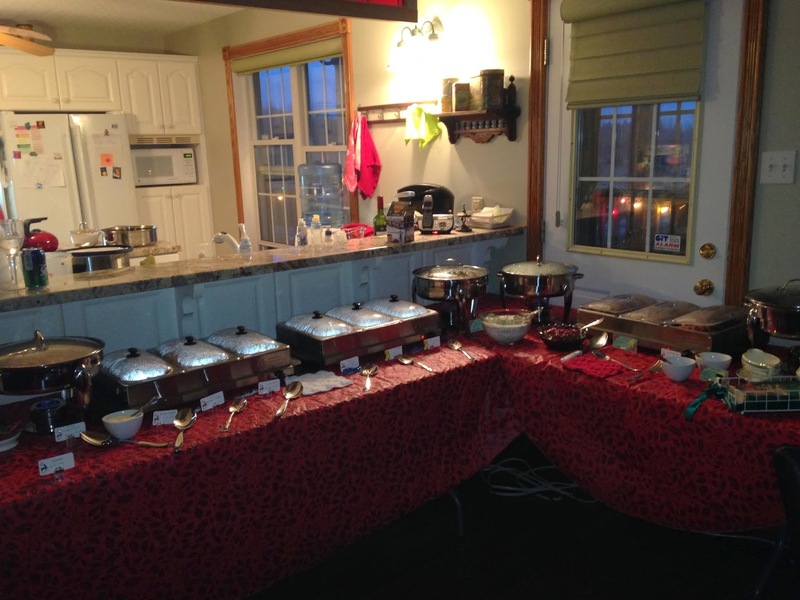 How would they feel seeing the abundance and variety of the meal at our home? Sometimes I pretended that some of my ancestors were there and I would ask them questions as they dug in to the meal. So who would I invite to one of our feasts? My top pick would be Joseph and Fanny (Downey) McGinnis because I'm desperate to know who their parents were, and where in Ireland they were born. I'd be enthralled hearing their story of leaving Ireland during the Famine Years and what it was like sailing over to Canada. I'd like to hear from Cornelis Antonissen Van Slyke what it was like arriving in New Netherland (present day New York) in 1634. I want to know more about the mother of his children, Ots-Toch, the French-Mohawk woman he met in the New World. I don't think she would like to come as early records indicate she wasn't fond of Christians. 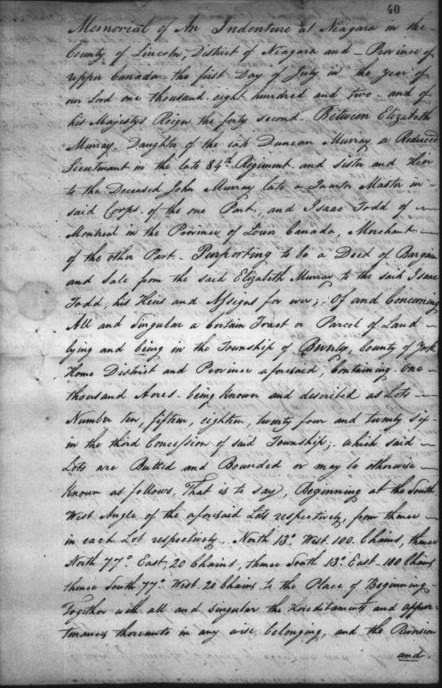 Jacob Peer would be high on my list because I want to know if he is descended from the Dutch Pier line that settled in New Netherland in the mid 17th Century. Yes it's funny we genealogists can become obsessed with one unknown fact. But this will all have to stay in my imagination unless one day a time machine is invented. Even then my idea won't happen as I decided last year was my last time making such a huge feast. So it would have to be Chinese takeout or Pizza going back with me on that machine. I bet my ancestors would enjoy that just as much, maybe more. 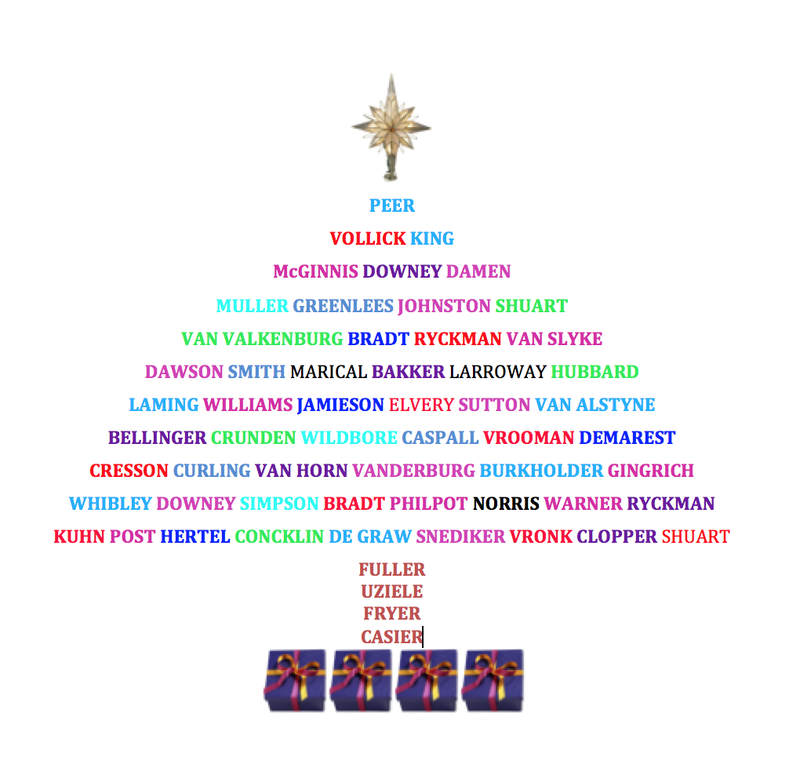 Here's my yearly surname Christmas Tree. It's the only one I'm doing this year. Peer, Vollick, King, McGinnis, Downey, Stead, Simpson, Burkholder, Fuller, Greenlees, Johnston, Shuart, Van Slyke, Ryckman, Bradt, Van Valkenburg, Damen, Caiser, Taine, Philpot, Norris, Dawson, Motteram, Wildbore, Higginson, Bell, Caspall, Holford, Smith, Dawson, Marical, Baker, Larroway, De Graw, Gingerich, Jamieson, Hubbard, Laming, Williams, Norman, Whibley, Page, Crunden, Fryer, Van Horn, Snediker, Sutton, Elvery, Anson, Blandell, Jackson, LeRoy, Winne, Hommell, Snider, Bellinger, Warner, Van Alstyne, Muller, Deroche, Wust, Kehl, Earl, Cole, Burd, Vrooman, Van Horn, Snediker, Post, Shuart, Uziele, and more. Yesterday I spent several hours sorting and organizing Christmas decorations. I have hundreds, probably enough to decorate 10 trees. I even have a few of the old Santa decorations from the tree we had when I was young. And every year I buy more. That's me on the left (many years ago!) in front of a little tree. See the red Santas with the twisted legs? They were one of my favourites when I was a kid. Those long legs that could be twisted around in every direction really tickled me. Santa was tall and skinny instead of rotund, another fact I loved as a kid. I managed to save a couple of those Santas and they've gone with me through many years and many moves. So yesterday was bittersweet because I made the decision last month to not decorate trees anymore. Each year Christmas has become more difficult for me to manage. 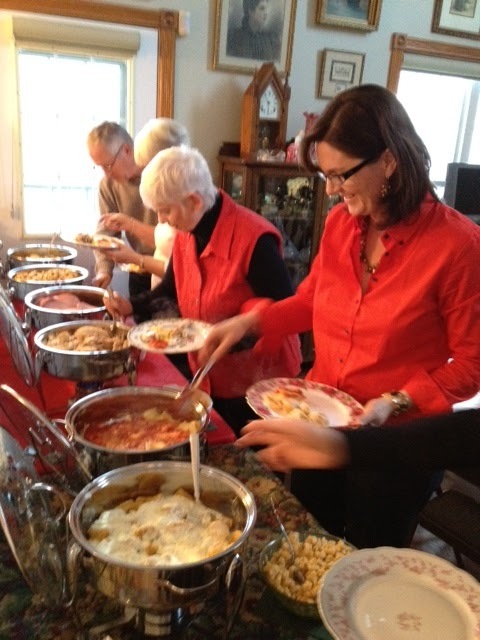 Usually I entertain 30 or more family - and I do all the cooking. I loved it, but my physical issues are making it too challenging to continue. As well my family is dwindling, either from death or geographic distance. So it just seemed like this year would be a sad Christmas, and it's hard to get in the spirit with that mind-set. Hence the decision for this year at least. Maybe longer. Each decoration I found, unwrapped and held, reminded me of something - an event from the past, a tree put up 10 years ago that looked like a Charlie Brown Christmas, a friend, a relative who gave me the ornament as a gift, or family Christmases of long ago. Mind you, Christmas has never been my favourite holiday. 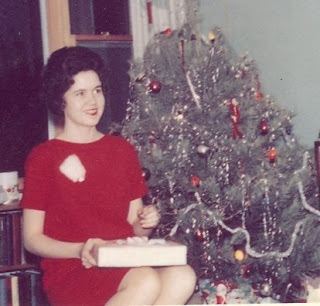 My father died Christmas Day when I was 14. I miss him. So Christmas is sprinkled with sadness for me. 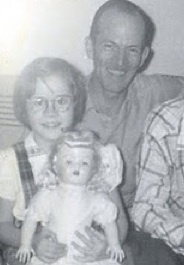 That's me with my dad the Christmas I turned 10. After a lot of thought and discussion with hubs I made my decision and set about packing items to be stored. So Many Tubs of Ornaments! I organized the ornaments by colour and by theme in case I break down and decorate a small tree next year. I ended up with 3 huge tubs, one for purple, one for green, one for the neutrals (ivory, white, grey, silver and gold) and several smaller tubs - one for red decorations, one for decorations from my childhood or made by my children or gifts from friends and family, one for kids decorations for their little tree, one for miscellaneous sets in assorted colours, and one labelled "winged creatures" which are birds, dragonflies, butterflies - you get the idea - anything with wings. Then I sorted all the garlands and ribbons and so on and put them all in a tub. Next came tags and wrapping paper and ribbons for presents - that took 2 more tubs. By the time I finished, I had a total of 9 large tubs representing Christmas memories. I feel a bit sad but I also feel like a huge weight has been lifted from my shoulders. Hubs and I discussing what we will do over the Christmas holidays. We have friends coming up from the city for Christmas Eve so I might cook a traditional Christmas dinner - although my friend wants me to just order Chinese Food! We are not sure what else we might do. Perhaps we'll just close the blinds, put the fireplace on, and watch our favourite movies while sipping tea. I love it when family lines intersect! 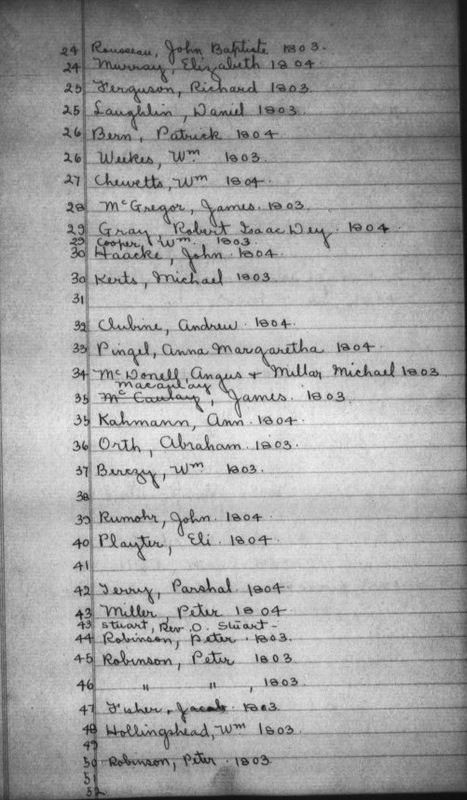 Recently I discovered that my first cousin, twice removed (Anne Ruby McInnes) married my husband's first cousin, three times removed (Alexander Butler) in Ontario in 1919. I'm blown away by this. McInnes is my father's ancestry and stems from Daniel, the brother of my great-grandfather Alexander McGinnis. Daniel ran away from home as a young teenager, and changed the spelling of his surname to McInnes. My line stayed in the Guelph Ontario area, where Daniel's settled in Wingham area of Ontario. The Butler line from my husband stems from his African American ancestor Jonathan Butler who settled in the Waterloo area of Ontario. 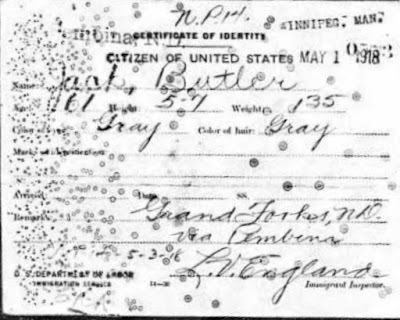 Alexander Butler is the son of the brother of hub's 2nd great grandfather Joseph Butler. The intersection of completely unrelated lines is fascinating and has me wondering if this happens very often in family trees. Just this morning a Facebook friend posted that she just discovered that the daughter of her 4th great grandparents married the grandson of her husband's 5th great grandparents. Inquiring minds want to know! Who all has found this intersection in their family? 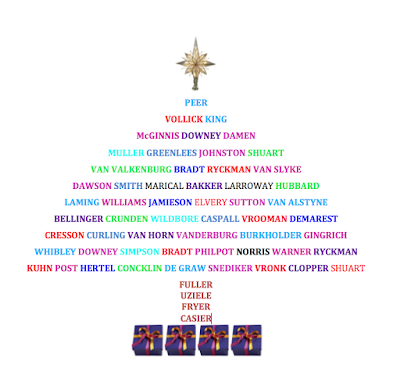 I wrote this jingle in December 2013 to reflect my version of The 12 Days of Christmas for genealogists. I haven't shown it in a few years so here it is again! Every year I try to find some items that I think would make terrific Christmas gifts for genealogists. So here is my list for 2018! 1. My number one gift this year is DNA kits. That's right. There are many different companies offering sales and specials on DNA kits but my favourite is still Ancestry. Ancestry Gift Subscriptions is20% off for those in the USA. AncestryDNA is available for Canadians for $89 CAD plus shipping.This sale ends at 11:59 PM EST on December 25th. 2. Give the gift of your favourite genealogy book - or one that you know the recipient would love. You can look through a huge list of books about genealogy by various authors on Amazon or you could go to the list of my published genealogy books and choose one! I have genealogy-history books as well as genealogy guides and a genealogy murder mystery for your enjoyment. 4. Journals, journals, and more journals. Give a beautiful journal for writing pesonal stories and memories. I use Iona Handcrafted Books . Tip: If the checkout won't accept a non-USA order, just email or phone as they do accept international orders. 5. Give a gorgeous family photo album. You don't need an archival quality album as you are only putting copies of your original photographs into it. Place your scanned and printed photos in the album and then write a description of each photo on the album pages. Write a nice inscription inside the front cover, place the album in a Christmas Gift Bag and you're done! Many genealogists have asked me about the online border crossings on Ancestry. Some are confused about when the border crossing records begin. Others are bewildered at finding an ancestor who they know lived in border towns such as Windsor Ontario or neighbouring Detroit Michigan, in the set called St. Alban's (Vermont) Border Crossing Records. 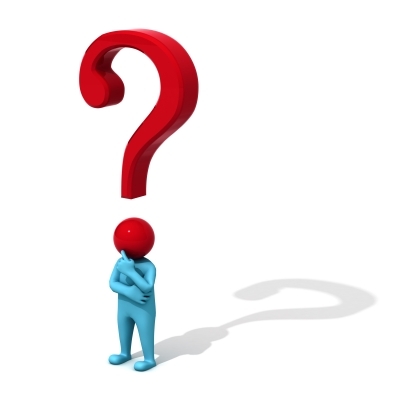 Why, they ask, would their ancestor cross at Vermont which would lead directly to Quebec! These two questions are easily answered. 1. 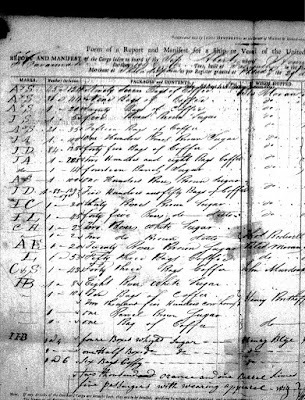 Border crossing records were not kept until 1895. 2. To find out what a database consists of, it is wise to read the description of the database before searching. For example one border crossing database on Ancestry is called St. Albans (Vermont) but by reading the description of the database, we see that it contains an index of aliens and citizens crossing into the U.S. from Canada via various ports of entry along the U.S.-Canadian border between 1895 and 1960. 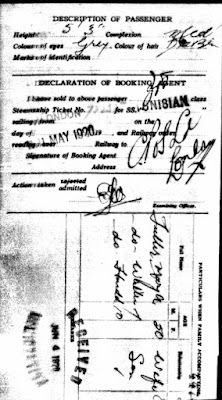 From this we learn that it does not mean that everyone found in the database crossed at St. Albans. Researchers should scrutinize the image carefully as it will indicate the port of entry. Ancestry also has Border Crossings: From U.S. to Canada, 1908-1935 online. These records consist of border entry lists and Form 30 (individual entry forms). Border Crossings From U.S. to Canada, 1908-1935 at Ancestry.com are often overlooked as a valuable genealogical database. This database contains records of immigrants crossing into Canada from the United States between 1908 and 1935. These records consist of border entry lists and Form 30 (individual entry forms). 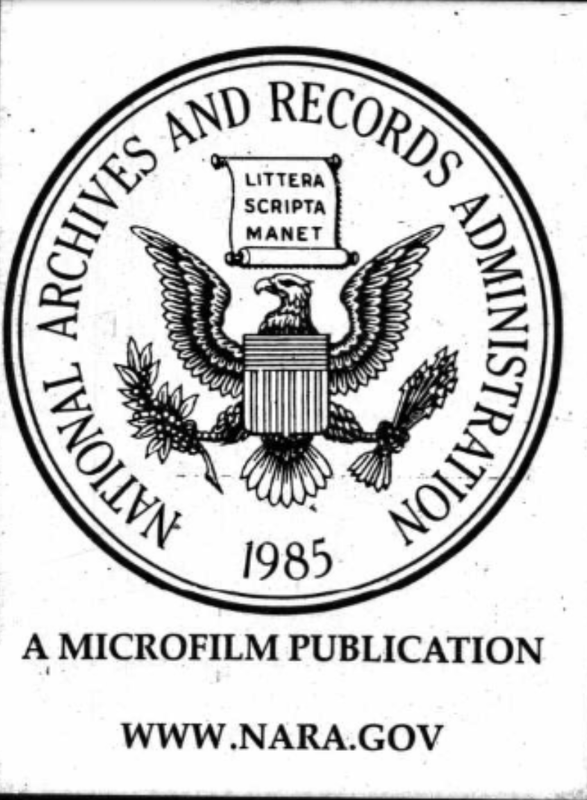 Information recorded in these records may include: name of immigratn, port of arrival, date of arrival, age, gender, country of citizenship, birthplace, marital status, and last permanent address. 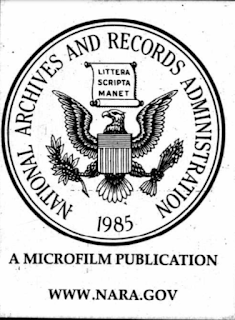 The amount of information recorded in these records varies according to form type and year. Form 30 consists of two images – a front and a back side. The majority of the information is recorded on the front side, but there is also important information recorded on the back. Use the previous and next buttons in the image viewer to navigate between these images. The back side may sometimes appear before, instead of after, the front. Between 1919 and 1924 the Department of Immigration and Colonization introduced the use of the Form 30A as the official record of immigration. Olive Tree Genealogy had an interesting question from Shannah about her grandfather. My research findings point out the need to take family lore with a grain of salt and not accept it as gospel. The story I was told was that it was my Grfa. who had left Cork, Ireland, from Sept. to December of 1887 (I believe these are the months) on the Barque Julia, from Edinburough to Cork and to New York. This particular Barque was a ship of supplies and the Captain was a friend of my Gr-Grpars., TWISS, Francis Edward Day, Sr.. It was my Grfa. who had suggested that he, himself, come out to Canada, first and they allowed it but he must go with someone they knew. It was only a few days' trip and have researched into several ports along the eastern coast to no avail. When he had landed, he had stayed with friends of his parents., (never knew who they were) Francis Edward Day and Ellen THOMPSON, in New York for a while then travelled up into BINBROOK, Wentworth Cty., Ontario, Canada to stay with our cousins/family there while his own parents. arrived through Montreal, Quebec, Canada in the following springtime. Making a note of these statements does not mean I accepted them as fact. It was obvious they were family lore passed on through the generations. 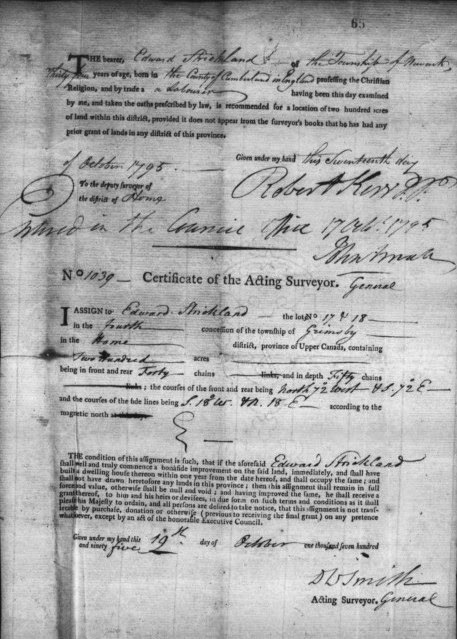 After searching on Ancestry.com in census records to gain a better understanding of the Twiss family group, their names, ages and residence, I knew that Francis Edward went by Edward, when he was born, his given year of immigration and that he was in British Columbia from 1891 census on. 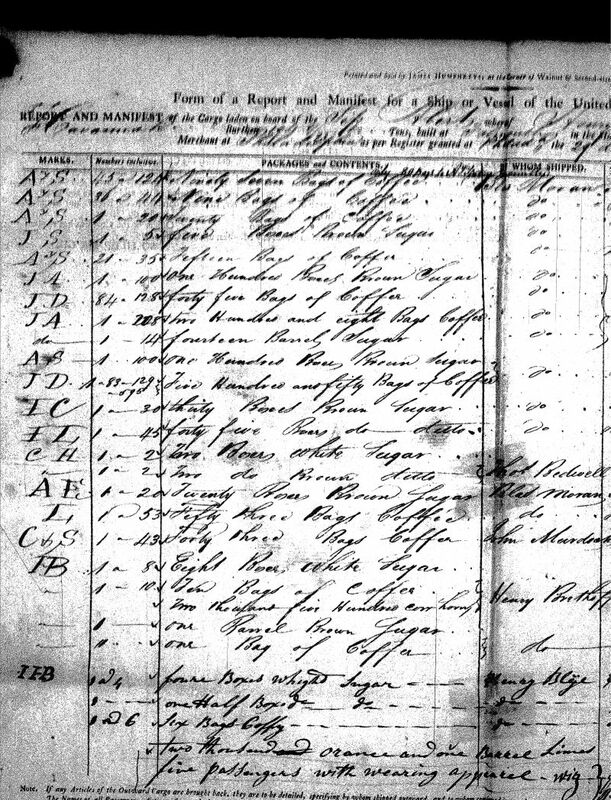 Turning to the Immigration records on Ancestry.com it did not take long to find Edward, his wife Ellen and 3 daughters sailing from Cobh, Ireland on the ship Peruvian. The Peruvian made stops at three ports: Baltimore Maryland, St. John Newfoundland and Halifax Nova Scotia. Beside the names of Edward and his family was the notation that they were headed to Victoria (British Columbia) Their arrival date was September 4, 1888. It is not clear if the family left the ship at St. John or Halifax but I suggest it was most likely Halifax. From there they could continue their journey to British Columbia. This is a typical example of family stories becoming mixed up over the years. My suggestion to Shannah for continuing the search for William is that she extend her year of immigration by 5 years on either side and not assume the ship name of Julia is correct. She should also look for William in the 1891 census and all census years after that. The 1901 census provides an immigration year but she should still allow 5 years on either side of whatever is recorded. 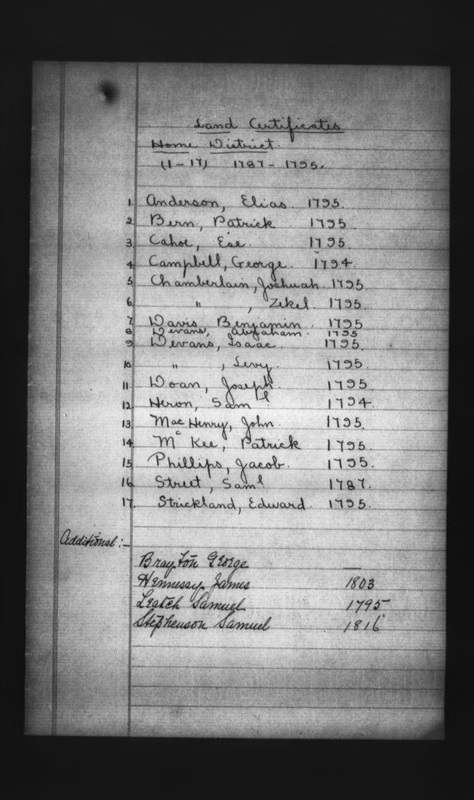 Clue for Shannah: In 1891 your grandfather is recorded as James W. Twiss and he is found with his parents and sisters in Victoria B.C. He is mis-indexed on Ancestry.com as the son of a Thomas Stephens but the image clearly shows him in the Twiss family. It's always wise to ignore the index information if a search result seems like a good possibility - always check the actual image if there is one. 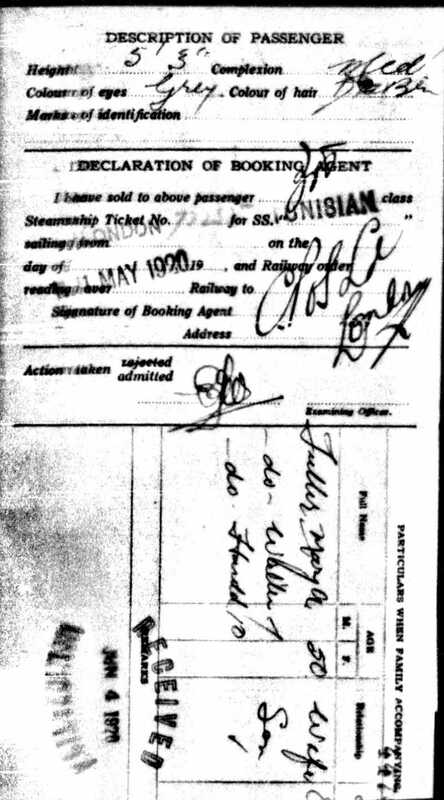 Visitors to Olive Tree Genealogy often ask me for a list of all the free ships passenger lists I have published online. My site is quite large and can take time to navigate to find the records, so I understand why there can be some confusion. 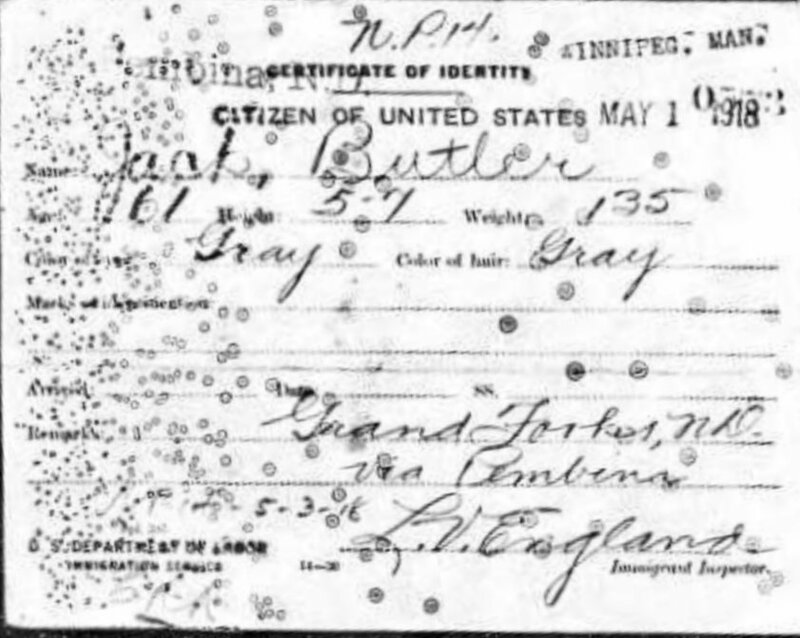 In hopes this might help genealogists, I've compiled a list of the free passenger lists and naturalization records on my sites.